TORONTO, ON–(March 16, 2016) – Lingo Media Corporation (TSX VENTURE: LM) (OTCQB: LMDCF) (“Lingo Media” or the “Company“), an EdTech company that is ‘Changing the way the world learns English’ through innovative online and print-based technologies and solutions, is pleased to announce that its subsidiary ELL Technologies Ltd. (“ELL Technologies”) has completed development of its “ELL Studio,” a speech recognition and practice pronunciation mobile app. With the development now complete, ELL Technologies plans to launch ELL Studio as a mobile app in the second quarter of 2016. The “ELL Studio” app allows learners to practice their spoken English on their mobile device in any setting. 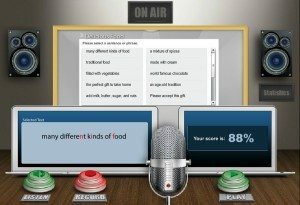 It offers a ubiquitous and connected experience, allowing users to practice their English pronunciation through the program’s state-of-the-art speech recognition technology. The app is free for current subscribers of ELL Technologies’ courses and is available as a download on Android and iOS devices. Lingo Media is an EdTech company that is ‘Changing the way the world learns English‘ through the combination of education with technology. The Company provides online and print-based solutions through its two distinct business units: ELL Technologies and Lingo Learning. ELL Technologies is a global English language learning online training and Assessment Company. Lingo Learning is a print-based publisher of English language learning programs in China. Lingo Media has formed successful relationships with key government and industry organizations, establishing a strong presence in China’s education market of more than 300 million students. The Company is extending its global reach, with an initial market expansion into Latin America and continues to expand its product offerings and technology applications. Portions of this press release may include “forward-looking statements” within the meaning of securities laws. These statements are made in reliance upon Sections 21E and 27A of the Securities Exchange Act of 1934, which involve known and unknown risks, uncertainties or other factors that could cause actual results to differ materially from the results, performance, or expectations implied by these forward-looking statements. These statements are based on management’s current expectations and involve certain risks and uncertainties. Actual results may vary materially from management’s expectations and projections and thus readers should not place undue reliance on forward-looking statements. Lingo Media has tried to identify these forward-looking statements by using words such as “may,” “should,” “expect,” “hope,” “anticipate,” “believe,” “intend,” “plan,” “estimate” and similar expressions. Lingo Media’s expectations, among other things, are dependent upon general economic conditions, the continued and growth in demand for its products, retention of its key management and operating personnel, its need for and availability of additional capital as well as other uncontrollable or unknown factors. No assurance can be given that the actual results will be consistent with the forward-looking statements. Except as otherwise required by US Federal securities laws, Lingo Media undertakes no obligation to publicly update or revise any forward-looking statements, whether as a result of new information, future events, changed circumstances or any other reason. Certain factors that can affect the Company’s ability to achieve projected results are described in the Company’s filings with the Canadian and United States securities regulators available on www.sedar.com orwww.sec.gov/edgar.shtml.